On silent wings, Owls catch their food primarily at night. The large eyes that face forward allow this bird to have binocular vision, enabling it to judge distances between objects and maneuver through crowded enviorments. 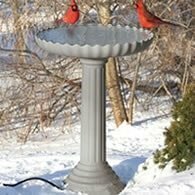 The eyes of these birds are immovably fixed in their sockets. 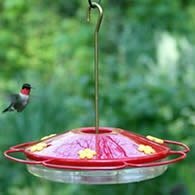 In order for the birds to follow moving objects it must turn its head. Because they have long flexible necks, they can turn their heads 260 degrees. The flight feathers of these birds are serrated at their tips, which has the effect of muffling the flapping sound of their wings during flight. Few bird of this species hunt prey in full daylight, their hearing is particularly important. Many have asymmetrical skulls, with the ear openings at different levels. The right ear is positioned high on the head, while the left ear is low. This allows sound to reach one ear before the other, this enables them to get a "fix" on the sound made by a prey animal. In experiments performed in totally dark rooms where eyesight is useless, owls have caught mice on a leaf littered floor with 100% accuracy. These birds feed entirely on living animals, with the size of the prey proportional to the size of the bird, from insects to mammals as large as hares. Like most other raptors these birds have sharp talons for seizing and holding prey. Their hooked beak is designed for tearing meat. Any food that is indigestible to these birds, such as bones, hair, and feathers, are compressed and regurgitated as compact pellets. These pellets can aid in understanding what the birds eat by analyzing the contents within them. The nesting habits of these birds vary considerably. Some nest in large tree nest or among rocks, others are cavity nesters living in holes in trees. 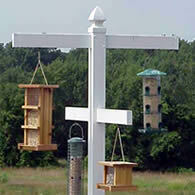 Barn owls can be attracted to man-made bird houses. 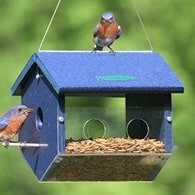 Since the decline in this birds natural habitat, farmers have begun using birdhouses placed on poles or the side of barns and other outbuildings to attract more of these beneficial birds. Online live nest cameras are used to stream the activity of Barn Owls, allowing internet users the opportunity to watch and learn in real time. One of my favorites is Star Ranch. I believe you'll enjoy watching their live cams. One of the more practicle reason for wanting to attract these birds is to control rodent populations. This minimizes the need for chemical poisons. During the nesting season, these birds work tirelessly hunting mice to feed the young, thus helping both the owl and the farmer. All birds of this species lay pure white eggs. These are laid over a period of several days and incubation begins with the laying of the first egg. The first eggs to hatch will have a better chance of survival than the later. Older nestlings will be able to compete for food over the younger and smaller birds in the nest. >Nestlings have enormous appetites and can eat their own weight in food in a single night. Trying to locate these birds can be difficult since their movement during daylight is minimal. Their well camouflage feathers help them blend in with their habitat. All of this leads to myths and folklore about these birds. Some believe he is wise while others consider he represents doom. 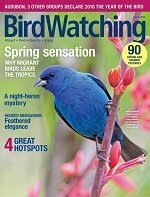 Either way, these birds are worth taking the effort to get them on your bird list.